With so many media outlets available, hoteliers have numerous ways to reach their audience. Originally, hotel chains tried to generate interest by posting captivating photos on their own sites. However, with the rise of OTA’s and third-party travel sites, hoteliers began to realize how important content marketing had become. 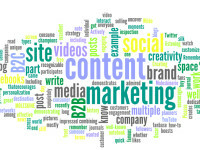 Creating dynamic and unique content is one of the most inexpensive forms of advertising and can come in many formats. In a social network integrated era, connecting with your audience is extremely important, if not expected. Travelers want to be excited about their hotel choices. They browse through many options before choosing one; the better your content stands out, the more likely you are to catch a traveler’s attention. In Samantha Worgull’s article about content marketing she suggests using crowd pleasers. Crowd pleasers are content that targets a specific audience’s sensibilities to attract them to your hotel. Samantha also suggests finding your niche. That is, find a targeted competitive advantage and promote that. People searching for that special attribute will be attracted to your hotel. Once you’ve decided what content to work with, the use of the content has to be properly executed. In their marketing tips article, Tnooz provides information on how to make your content pop. When providing copy, videos, or photos, it is best that the media looks as professional as possible. Your content quality reflects your hotel. If you provide amateur-looking photos and disorganized copy, guests may not take your business as seriously. Also, provide copy that tells unique stories about your hotel. An interesting profile paired with a recognizable style can help build a brand awareness with potential guests. Remember, the goal of content marketing is to make your hotel recognizable and appealing. You’re content should embody everything that you want guests to know about your hotel. You’ll have a higher chance of engaging with potential customers if you keep your content fun and interactive.